As I explained in my earlier post, I used the apple pattern out of Ana Paula’s first book, and enlarged it. I used some chunkier yarn, but it was a bit thinner than the yarn from Mr. Pear, so instead of multiply the pattern 2.5 times, I did it 3 times. It’s a bit of a challenge to get I right (for example, Ms. Worm had a earlier version where she had eaten a bit to much of Mr. Apple, if you know what I mean. ;)) but I think they turned out great! Posted in Amigurumi, Yarn and tagged amigurumi, apple, big, pear, yarn. Bookmark the permalink. 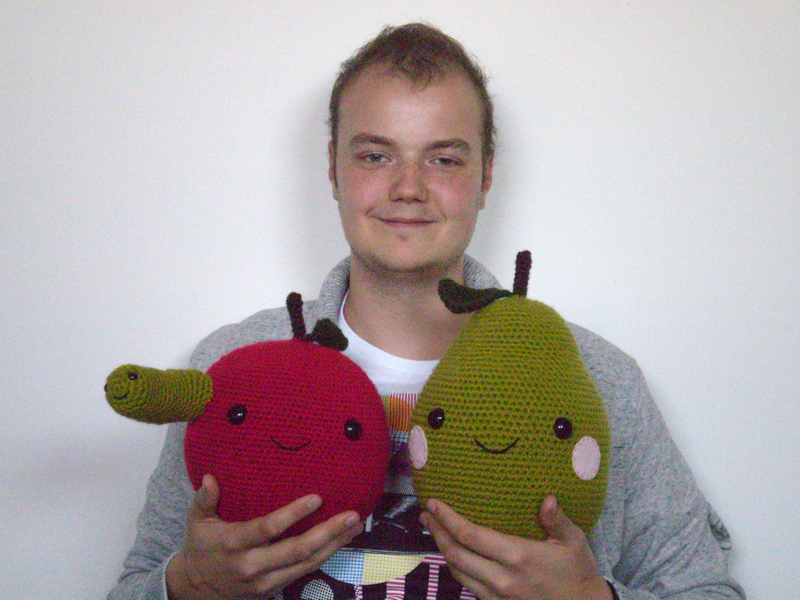 Adores Amigurumi ◕ ‿ ◕ // (Web)designer // Collects rubberducks // Loves making awesome cakes // Little Mons†er // Makes balloon animals // And a lot more!